The French property market, with regard to British buyers, is split into three main brackets. There are those who are seeking to make a permanent move to start a new life (Life in France), whether it be career driven (Jobs in France), for retirement (Retirement in France) or a lifestyle change; there are those who wish to purchase a holiday home; and then there are those who want to buy property to let out as a business proposition and investment. There are, of course, several grey areas between these groups, with many who live permanently in France purchasing extra property which they let out to help finance the new lifestyle, and holiday home owners letting out their property for the times when they are not using it themselves. Whatever your reasons, if you have an interest in and love of France, letting out a property to help cover the costs of your daily life or holidays, or as an investment that pays its way, seems like a good idea. After all, property in France is still generally cheaper than in the UK, the market is still developing and there is a vast amount of highly desirable properties available. So, what do you need to know before you make this decision? Most holiday makers see themselves relaxing by a swimming pool in a large garden, so a town house with a small backyard, whilst hassle free for you, may not fit the bill for them! On the other hand, if you are looking to let an extra property for longer terms, perhaps to local people (many French people rent for three year terms rather than buy their homes, so there is a real potential for this type of long term property letting) then the huge, isolated farmhouse in the country may be totally unsuitable. The key to successful property letting in France is to identify your target market, and buy accordingly. Holiday makers, the bread and butter of the short term lets, and most likely market for those letting out a small gîte attached to the main house, or a holiday home when not in use, usually require the type of house that has an instant appeal, and would not look out of place in a glossy brochure. That is not to say that it has to be an expensive property, but it does need to be in an attractive location, with the seaside, the countryside or a pretty village being ideal. The seaside is always going to be a prime location for holiday letting, and although these properties are more expensive to buy initially, they can work out more economical as they are easier to let, and attract higher rental incomes (Property near Sailing Ports / Marinas in France). Country properties are also sought after for letting, but remember that holiday makers will not want to be too isolated, so look for somewhere close to a market town or a village with amenities. What about town houses? There are many very attractive town and village houses on the market in France, and these often present a more affordable option for buyers considering letting out their property, who are not embarrassed by large amounts of disposable cash! These types of houses, along too with city flats and apartments (Apartments and flats in France), can also be a clever purchase for the buy-to-let market. In these cases, though, the market is more concerned with longer term letting, perhaps to local people seeking a home that is convenient for work, shops and leisure facilities, or to house hunters who wish to live in an area to get to know it before committing to a purchase. Whatever type of letting you are aiming for, it is vital to market your property correctly. The internet is the first port of call these days for anyone looking to rent a property, particularly abroad, so a well constructed and maintained website is an ideal and essential marketing tool. Links to other websites also help. You will find that your advert will reach so many more people than if you rely on the accessibility of your website alone. Another useful idea with regard to marketing and letting your property, is to place your property with a local agent, preferably someone known to you through recommendation. Many people have also found success through placing their properties with Gîtes de France, (http://www.gites-de-france.com). This guarantees a certain standard for all its customers, so expect inspections, but there is a loyal customer base and an excellent reputation. Is letting property in France oversubscribed? Many people are saying that the market for holiday letting in France is so oversubscribed that there is no real potential for making any money any more. Is this the case? Well, certainly it is true to say that it is no longer possible to expect an easy let for any old property in any old location and any old condition! The market is more exacting, as potential renters have more properties to choose from, so you will have to work harder for your money to make letting your property a success. It is also important to be realistic about the incomes you can expect from letting your property in France. Holiday lets tend to be for only a short period, that is, around ten weeks of the summer. Schools these days are less keen to allow pupils to take holidays during term time, and as gîtes and B&B holidays in France appeal mainly to this family market, holiday letting in France is clearly affected by this. Top properties in France can still attract high rental incomes, but if you want to let your property in France out of season you may have to consider the lower rates available for long term lets, or buy a property in an area where there is a clear attraction outside of the summer months, such as near the ski slopes. To make your property stand out in a crowded market, you need to have some sort of USP, or "Unique Selling Point". If you own a superb, historical chateau, a dream villa on the Riviera (French Riviera Property - an insider's guide) or a penthouse apartment in a fashionable arrondissement of Paris (Paris Arrondissements Property Guide), your property will probably sell itself, but otherwise the more you can find a niche in the market the better you will do. Successful ideas promoting the letting of property have proved to include sporting activity holidays, such as skiing (Ski Chalets for Sale in France), climbing, fishing (French Properties with Lakes), cycling or horse-riding, or perhaps cultural courses such as art, theatre, wine tasting (French properties with vineyards) and cookery. Child friendly properties are another popular idea, and there are agencies who will promote properties of this type to the specialist market. Among the many tasks you have to perform are cleaning from top to bottom, not forgetting the fridge, oven, bath and loo, changing the linen and doing the laundry, checking and replacing any broken pots, plates or other equipment, replacing light bulbs where necessary, mowing the lawn and tidying up the garden, cleaning the pool, and ensuring that telephone, electricity and water consumption has been accounted for (if not included in the price). You may also feel it is worth while to prepare a small welcome pack of local goodies (such as Foie Gras and locally produced cheeses) as well as essentials like tea, coffee, milk, eggs and bread. It only takes a little more effort, and research shows that these personal touches are really appreciated and can make the difference when it comes to recommendation and re-booking. 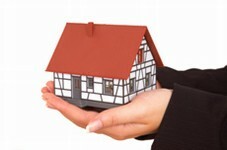 Yes, insurance definitely matters when it comes to letting your property. House insurance is mandatory in France from the signing of the Final Act, whether it is a permanent residence, a holiday home or a rental property. Most house insurance policies will include third party insurance as a matter of course, but do check with your insurers that this is the case with your policy, as if a guest slips and breaks a leg while staying in your house you need to know that you are covered in the event of a claim. It is also wise to check the position on matters of compensation, should something unexpected occur that necessitates the house being out of action whilst booked out. In the event of, say, a fire or a flood, it is good to know that you can offer either compensation or alternative accommodation without breaking the bank as well as losing your income. Another way to tackle this problem is to have a clear written agreement in the contract, so that all parties know exactly where they stand in the event of such a disaster. For a good example of a contract dealing with these eventualities, see http:/www.bordebasse.com. This is the website for Gill and Jimmy Masters' gîtes in the Languedoc, and shows the legal angles that should be covered in rental situations. Gill also suggests that gîte owners recommend holiday makers to take out additional holiday insurance, such as can be purchased from Chez Nous (http://www.cheznous.com). Should you decide to sell your property, there will be a Capital Gains payment due on the sale. In France, this is payable on the sale of any "maison secondaire", or house which is not your principal residence, and works on a sliding scale over a period of fifteen years. If you want to let a property in France, be clear about your reasons for doing so, and be realistic about your expectations. It is possible to make a good living from property letting here, but unless you are going to take a very hard headed businesslike approach then it is probably better to view your letting income as a bonus, or a useful second income. Be prepared to work hard, market your property well, and consider both short and long term letting to cover those out of season slumps. Go the extra mile to make guests welcome, and they will reward you with return bookings and recommendations that are worth more than any amount of expensive advertising. There are some odd laws for those letting properties, eg: you may not evict a tennant between September and April even if they do not pay the rent. You will hear certain horror stories about French insurance companies but a friend of ours had a tennant (by negligence and the removing of batteries from smoke alarms) cause fire damage to the property we had found for her and worked on. She speaks very poor English and her French is worse, but her insurance company helped her above the call of duty even helping her evict the errant tennant etc. It is not April yet and this happened recently, by the time we get over there, on the 15th, the place will have been restored. If there is a problem such as dangerous loose tiles the Mairie will permit instant repairs and put in place the closed road signs should such be necessary. There is usually a time limit but doing the job properly is more important.